We love and accept you, not matter who you are, what you have done, or where you have come from, just as we each have been loved and accepted. Our passion is to provide people with the tools to navigate life and their walk with the Lord through the teaching of the Word of God and the revelation of the realities of who Christ is and who we are in him. Our desire is to take each person the Lord brings our way and ignite in them a passion to become effective, efficient ministers of the gospel, first in their homes, then in their community and ultimately across this nation and world. 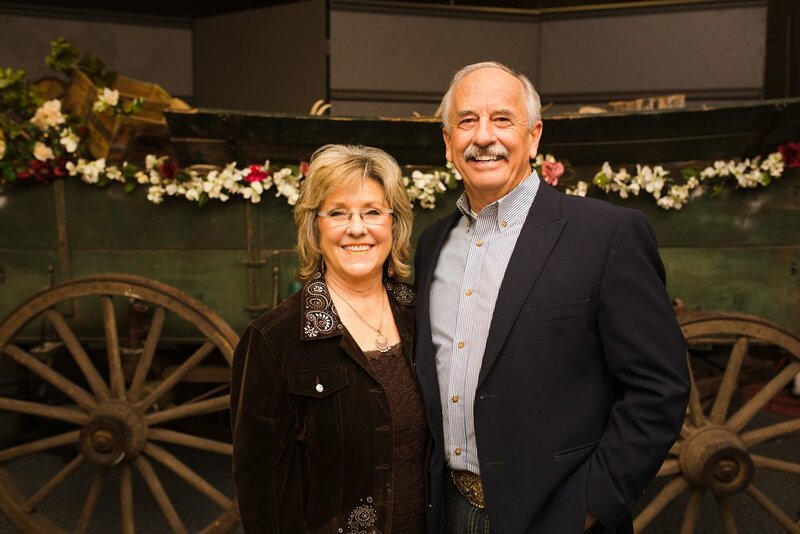 In the fall of 1975, Charles and Margaret Mendenhall left their ranch-life twenty miles south of Perryton to attend Rhema Bible Training Center in Tulsa, Oklahoma. After graduating, they moved to Guymon, Oklahoma with their three children where, in November, 1977, they felt led of the Lord to start Victory Center Church. From its humble beginning with only three people, it has developed into the present growing congregation. Over the years, Charles and Margaret have ministered in Kenya, Africa; Homer, Alaska; Nigeria; Russia; Mexico; and Guatemala. Margaret has authored six books which are available on her website, mendenhallministries.com. Since 1977, Victory Center has been instrumental in starting several outreach ministries, one of which is World Harvest Church in Enid, Oklahoma pioneered by their son, Bradley Mendenhall. Victory Center houses ministries to jails and prisons, has an enthusiastic children’s and youth ministry through Kid’s Klub and One Eighty Youth that meet on Wednesday nights, plus a vibrant children’s church for all ages on Sunday mornings. Victory Center’s services are streamed live via Facebook, and from our website, www.victorycenter.org. Pastor Charlie ministers on Kingdom Keys Radio Network daily and on KGYN radio.